If you are into the world of dieting, chances are you have already heard of paleo diets. The mystery behind it is the weight loss benefits it offers through you making an effort to eat in a similar way to your ancestors – eliminating large amounts of processed carbohydrates from your diet. It has gained popularity in its following, as many of its followers report significant weight loss after following it diligently for some time. It encourages the dependence on wholly natural foods to survive, but this has made some individuals skeptical of the diet. 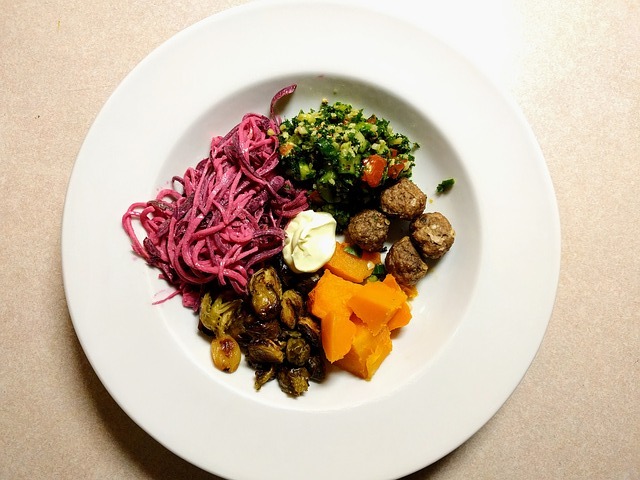 With all the information floating around and being common in discussion rooms thanks to nutritional experts and dieters alike, you may wonder if the paleo diet is truly for you. No ‘perfect’ diet exists, and what may work for one person may not work for you even if you follow the same guidelines. That said, many diets end up compromising your performance, or are simply wrong for your body. The paleo diet is a recent one, even by most standards – it is a development from the 1970s, thanks to an American researcher, Dr. Loren Cordain. The story behind it is incorporating less carbohydrates and meat into the diet and inclusion of greater amounts of white meat, vegetables, plant oils and fruits. In addition, the consumption of carbohydrate foods is highly discouraged, unless in certain occasions. Keep in mind that the diet may not work for you, but if you want to try it, you will have to fill up your stocks with natural fats and natural food, which can include lean cuts of grass-fed beef and poultry, fruits like citrus fruits and mangoes, non-starch vegetables like pumpkins, peppers and onions, as well as nuts and natural plant fats like olive oil, almonds and pumpkin seeds. You also should not consume legumes or many protein-based foods. That means your usual treat of milk, beans and tofu is out. Foods such as peanuts may be permissible in certain circumstances, but consumption is highly discouraged. In addition, protein foods include ice cream, yogurt and cheese; salty food and processed food, as well as foods that are high in sugar. Avoiding carbohydrates is the other feature. This includes cereal grains like barley, wheat and rice, starchy vegetables like potatoes, sweet drinks and artificial sweeteners. Does science confirm the benefits? Certain research regarding paleo suggests that it actually works. For instance, a study with four random trials was useful as the basis of analyzing whether the diet works. The researchers concluded that there were short-term advantages that the paleo diet offered its participants, such as the reduction of risk factors for heart disease – like reduction of waist circumference, even when compared with other diets. However, even with all this information, skepticism still exists over long-term benefits, as there is insufficient evidence to confirm the health benefits. Keep in mind that dieting is not a cure-all for every person, much less the paleo diet. All diets will carry some benefits with them, but there are risks you need to be aware of before starting with them. The emphasis that the paleo diet puts on eating vegetables and fruits means that you are getting important minerals and vitamins in your body. The advantage with these foods lies with the ease of getting them, and that the diet is easy to follow even if you have no prior experience with diets. It states the foods that you can take as well as those to avoid, so there is no cycle of dieting or a prepackaged meal plan that you must stick to. In addition, since the diet promotes the consumption of anti-inflammatory food such as vegetables and fruits, there is an improvement in your health. Exercise is equally important – its inclusion allows the maintenance of your weight goals safely, unlike a harmful habit such as marijuana addiction that leads to marijuana withdrawal and unhealthy weight loss. Since the diet emphasizes the protein in the meal plans, it ensures better regulation of insulin levels, as well as the better density of nutrients in the body. The result is a more efficient control of the levels of energy. Because the diet lays emphasis on consuming whole foods and fruits and vegetables, the calories you consume are less. The reduction of processed foods and sugars to the elimination of empty calories from the body, and substitutes them for nutrient-dense foods that are low in calories. The diet eliminates sugar, artificial ingredients and harmful food preservatives common in many processed food. Inclusion of vegetables and fruits leads to an increase in the fiber content of your body, therefore helping to eliminate fats from your system. The foods you consume in the paleo diet are full of fiber. When you combine this with high intake of water as well as smaller consumption of sodium, it helps with decreasing the incidences of bloating that you find in many western diets. The gut flora also improves and helps in maintaining healthy bowel movements as well. Vegetarians, in particular, are affected the most by this rule. In addition, research does not confirm if the exclusion of these and grains from your diet is healthy in any way. Even though certain people should avoid gluten and dairy,the rule is keeping legume consumption moderate. However, you can still achieve weight loss without eliminating these foods from your diet. The diet emphasizes consuming food like your ancestors – but how much of this is true? Life on earth has changed significantly within the last 1,000 years, that it is difficult to ascertain what kinds of foods were in consumption at the time. Life is also continuously changing, and what is here today may not be here in the future. The paleo diet is interesting enough to warrant studies into it. It carries a host of benefits for some people, while failing to work in others, but the key of sustaining weight loss should always remain the same irrespective of the diet you follow – keep it simple.